Mackenzie Phillips – American Actress and author of the courageous New York Times bestselling memoir High on Arrival, and her equally successful book, Hopeful Healing: Essays on Managing Recovery and Surviving Addiction, is also currently enjoying her role as ‘Barb’ in Season 6 / Netflix, Orange Is The New Black and another Netflix show reuniting with series creator Norman Lear for the revival of One Day At A Time. Phillips rose to fame with breakout parts in 1973’s American Graffiti and ’70s sitcom One Day at a Time and is now making a different impact as a director at the Breathe Life Healing Center in Los Angeles where she specializes in trauma, drug, and alcohol treatment and recovery. The daughter of The Mamas and the Papas lead singer John Phillips, Mackenzie, a survivor of substance abuse and a visible and outspoken advocate for addiction awareness and education, brings her knowledge and voice on the subject of recovery and shares her experiences for those who are trying to overcome addiction. 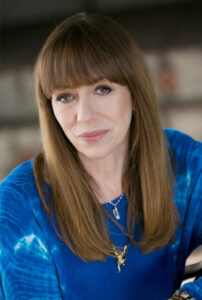 Mackenzie Phillips grew up in a dysfunctional environment and subsequently battled a near-fatal drug addiction. She presents the wisdom she gained from her own personal journey through addictions and her understanding of practical treatment from her work as a rehabilitation counselor. Using her own life experiences as examples of proven recovery methods, she shares the tools and holistic approaches that are available to help those on their way to recovery. One in three families in the U.S. are currently impacted by substance use disorder in the U.S., and thousands of Nevadans experience stigma and shame preventing them from seeking help for themselves or their loved ones. Today, there is hope and help available for people who want to break the cycle of addiction. 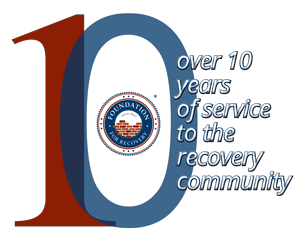 As a member of the growing national recovery movement, Foundation for Recovery provides peer-led recovery support services and facilitates community-based training to build stronger communities of recovery in Nevada. Join us for the 2019 Recovery Awards Dinner as we celebrate individuals and families in recovery and recognize those who have made truly remarkable contributions to the recovery field. Now more than ever, we need to think outside the box and harness the power of recovery as a healing and restorative force within the life of family and community. Are you considering Recovery Benefactor, Recovery Hero or Recovery Supporter Sponsorship? Your philanthropic investment is important to us. Contact us, and Magda Hirsch, Director of Development and Strategic Partnerships, will follow up with you. One premium VIP table for 10, Prominent logo placement on all event material. 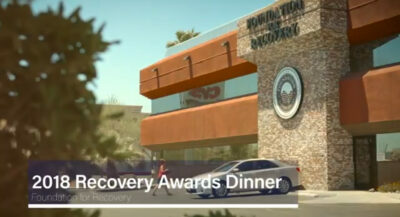 Corporate logo displayed on screen loop during dinner program, Prominent hyperlinked logo and recognition – FFR website, social media and newsletter, Special thanks and verbal recognition as Recovery Benefactor during event at podium, Full page back cover ad in event program, Opportunity to include your company gift at the event. Contact us about becoming a Benefactor. Contact us about becoming a Hero. Contact us about becoming a Supporter. Click here to become an Advocate. Click here to become an Promoter. I am not able to attend, but wish to make a gift to Foundation for Recovery. To ensure maximum quality and avoid printing problems, please follow these guidelines for creating your ads. Design your ad using one of the above sizes. High resolution PDF files are preferred, although JPEG, EPS, PNG or TIF files in high resolution are also acceptable. Other formats and scannable originals may be used but the quality will not be as high. Send files to mhirsch@forrecovery.org by April 29, 2019. If paying by check, please make checks payable to Foundation for Recovery and mail to: Foundation for Recovery, c/o Magda Hirsch, 4800 Alpine Place, Suite 12, Las Vegas, NV 89107. 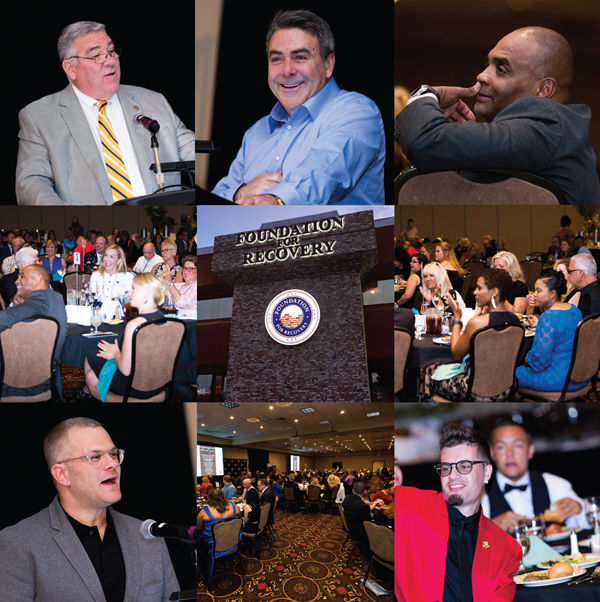 The block of rooms for the 2019 Recovery Awards Dinner attendees is now open at the Tuscany Suites and Casino located in Las Vegas, Nevada. With all taxes and fees, the guest room rate for per night Friday and Saturday is approximately $147/night, and Sunday through Thursday is approximately $90/night. The hotel will waive the $28 resort fee per night for the group at the check-out. To receive the conference rate, go to https://tuscanylv.webhotel.microsdc.us/ and enter 154284 in the Group Code Field. When calling 1-877-887-2261, please be sure to mention Foundation for Recovery group rates. The conference guest room rates are offered three days prior and three days post the event date. Reservation requests must be received no later than 30 days prior to the group’s arrival date. Requests received after 5/1/18 cutoff date will be confirmed on a space available basis at the prevailing rate. Click to watch the video from last year's event.